The financial ramifications of a divorce can be devastating. But, with proper planning and help in financial divorce settlements, you can increase your chances of arriving at a settlement that fully addresses your long-term financial needs -- and your spouses too. What's missing in most divorce processes is financial expertise. At Cetera Advisors, we can forecast the long-term effects of the settlement so both partners have a clearer view of their financial futures. Chris Quebedeau is a Certified Divorce Financial Analyst®. The role of the CDFA™ is to assist the client and his/her lawyer to understand how the financial decisions he/she makes today will impact the client’s financial future. Divorcing Couples: We help clients determine the short-term and long-term financial impact of any proposed divorce settlement. 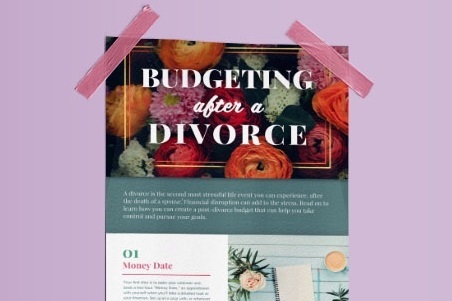 We provide valuable information on financial issues that are related to the divorce, such as tax consequences, dividing pension plans, continued health care coverage, stock option elections and much more. Divorce Attorneys: We assist attorneys by analyzing the impact of proposals and to give them the tools they need to help prove their case.